The Chinese-handset giant, Coolpad has recently released few impressive smartphones at an affordable price in the range such as Coolpad Note 3, Note 3 Lite and Note 3 Plus, which were priced at Rs. 8999, Rs. 6999 and Rs. 8999 respectively. 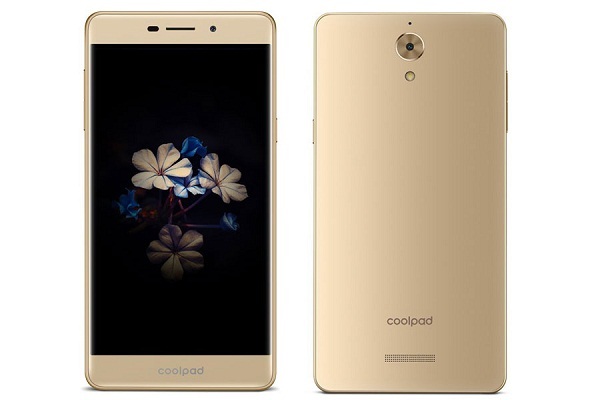 Recently, the company had launched a flagship smartphone in India called as Coolpad Max and priced at 24999. Now, the company has announced another budget-level smartphone with decent specifications in Vietnam targeted to selfie lovers. It is named as Coolpad Sky 3, which is the successor of Coolpad Sky smartphone that was launched back in 2015. The device has an improved polycarbonate build with more eye-catching design, which gives a great feeling when you hold the device. Coming to specifications, it features a 2.5D curved screen with 5.5-inch IPS LCD HD (1280 x 720 pixel) resolution, which offers a 267ppi of pixel density. Under the hood, it comes powered by a 64-bit MediaTek MT6735P Quad-core processor clocks at 1.0 GHz paired with Mali-T720 GPU. The device runs on the latest CoolUI 8.0 based on Android 6.0 Marshmallow out of the box. It supports dual SIM dual standby and offers 4G LTE network. It has a 16GB internal storage which can be further expandable up to 128GB through microSD card support and 2 GB of RAM. Connectivity options on the device include 3G HSPA+, Bluetooth, A-GPS, FM Radio, Micro USB 2.0 and 3.5 mm audio jack. On the camera department, it packs an 8-megapixel autofocus rear camera with f/2.0 aperture and LED flash, which will record videos up to 720p at 30 frames per second. Up front, it has a same 8-megapixel front snapper with 83.6-degree wide-angle lens and f/2.2 aperture for selfies shots and video calling. The handset provides to open the camera application by clicking volume rocker button two times and also pressing the power button & volume rocker button at the same time will open the camera app, when the device is in standby mode. The device comes packed with a 2500mAh battery that can provide to deliver 200 hours of standby time and measured by 7.85 mm of thickness and is the weight around 143 grams. It is priced at around 3,999,000 Vietnamese Dong (approx. $179.3 / Rs. 12084). It will be available in Gold and white color options. The device is currently available for pre-orders in Vietnam.